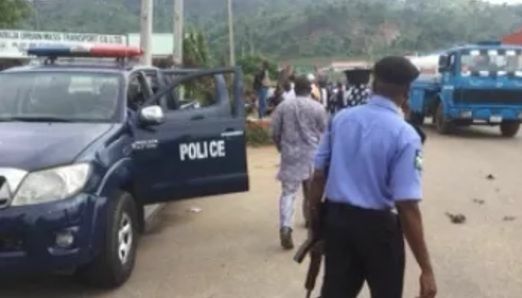 A clash between operatives of the Special Anti-Robbery Squad and some angry youths along the Eku-Abraka Road in Ethiope-East area of Delta State has left at least one of the youths with a severe gunshot injury. The incident, which occurred on Saturday in front of the Ruosek Global Venture filling station, led to a serious apprehension among residents and commuters travelling along the road, following heavy shootings by SARS operatives. Trouble allegedly started when SARS operatives at a roadblock stopped a white Honda Cross Tour car and demanded to check the content of the occupants’ phones, which led to a heated debate between both parties. “The SARS operatives, who had mounted a roadblock along the road, asked to see the phone contents of the occupants of a white Honda Cross Tour car and this led to a heated verbal confrontation between both parties while one of the SARS operatives continually threatened to shoot at one of the occupants. “To quell the situation, the operatives fired several shots into the air while the vehicle occupants also threatened to engage the operative in a fight, leading to him being shot in the leg,” the source stated. In the video obtained by The Punch, one of the car’s occupants who, was arguing with of the operatives, was shot from behind by another SARS member. It was gathered that the policemen shot a countless number of times into the air to escape from the scene of the incident while the youths were making efforts to block the road. Another source added that the security personnel reinforced and invaded the community in search of the youths who had earlier threatened to carry out a reprisal against the police. “This set of operatives has been terrorising commuters, especially young men driving flashy cars through the road from Abraka to Warri. In most cases, they forcefully take them to ATMs after checking their account balance with their phones. Their activity is giving the Nigeria Police Force a bad image,” the source, who pleaded anonymity, added. Spokesman for the state Police Command, DSP Andrew Aniamaka, when contacted on Sunday, denied knowledge of the incident, saying that he would verify the authenticity of the incident and that the command would not shield any officer found culpable in the incident.